Sue's Reality Canada: Amazing Race Canada 3 Preview of Episode 11 "Cabotage"
Amazing Race Canada 3 Preview of Episode 11 "Cabotage"
It's taken 3 years, but Amazing Race Canada is finally visiting Edmonton. And as if to emphasize this, CTV has decided to make us wait an extra day to see it. That's right, apparently the 2-hour season finale of Masterchef supplanted TARC. Go figure. Trivia #1: Arlie Shaban from Big Brother Canada 2 witnessed the teams at the airport. Trivia #2: It was filmed May 26. I myself missed the teams by mere minutes as they traveled to Edmonton....DRATS! There is a stop at the Edmonton Waste Management Centre. I know, I know. Couldn't they have picked any other attraction to showcase? 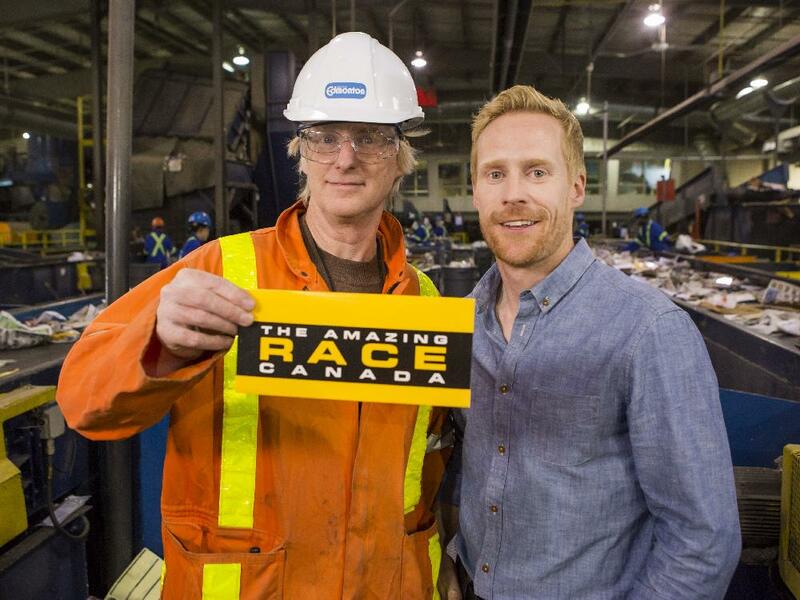 Well, it just so happens, (according to the official website) this place is "North America's largest collection of modern, sustainable waste processing and research facilities." They even give tours and claim, "With its unique collection of advanced recycling and composting facilities, it’s been called the ultimate waste theme park.” Oh boy. Mark me down for The Haunted Compost Pile and The Hall of Plastics rides. 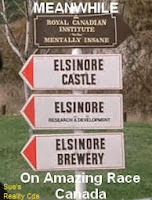 That was sarcasm, but just like Disney World, teams will have to take a shuttle to get to the task inside the facility. I just hope Brent and Sean learn not to throw their empty wine bottles in the blue box. (I am sure we will hear another post-party recycling bin joke). The preview gives away the meaning behind the title, as those dastardly fiends Gino and Jesse (aka Tats and Muscles) steal Nick and Matt's cab. Thus the cab-otage. Then both Nick & Matt and Simi & Ope call a cab, but only one shows up. We hear Nick say the cabbie doesn't have the name, so the Wrestlers take it. Ope says, "Two wrongs don't make a right." Yes, there is another Face Off. From what I have seen, a lot of fans are giving this task the big thumbs down. They are still complaining the task name doesn't comply with the travel theme of ARC. But mostly, it's because the first one didn't play out too well and now there are only four teams left. The penalty for last place could spell disaster for the losing team. I, on the other hand, want to see this task play out as it was meant to back in leg 5. It should. I can't see any team taking a penalty beforehand at this stage of the game. This one is curling at the Ottewell Curling Club. 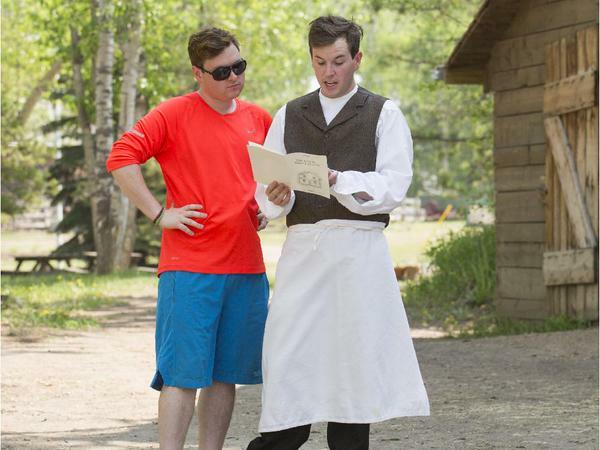 Fort Edmonton Park is the scene for the Roadblock. Now this one looks very entertaining. 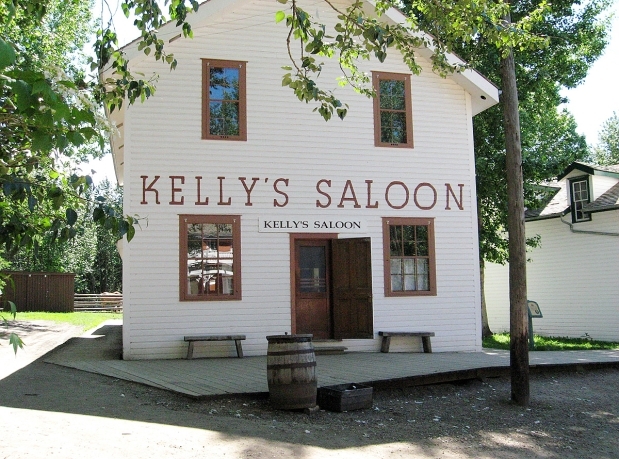 One team member will have to serve a rowdy bunch of re-enactors in Kelly's Saloon. I am sure this will have to do with the Northwest's Prohibition laws in 1885 - as the official website says owner Luke Kelly had to find creative ways to sell booze. I have no idea of what the Detour is. 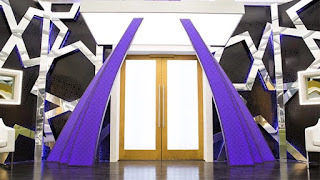 It could be the Waste Management task was the Detour, but I am not sure they would place the Detour before the Face Off, especially with only four teams left. My opinion is there should be more than one task after the Face Off just to allow the loser a chance. There was another sighting of filming at Emily Murphy Park. In addition, the pedestrian bridge over the 98A was closed - this is very close to the Muttart Conservatory which is the Pitstop for this leg. I am pretty sure Gino and Jesse do not win this leg. This one probably goes to Brent and Sean. I am about 99% certain Simi and Ope will be eliminated here. You can check my TEAM SPOILERS post to see why I say this, and I will elaborate on this in next week's finale preview. The official preview shows an exhausted and frustrated Simi going into the Curling Club. The Refresh preview suggests they may have hoofed it for a way after losing the cab to Nick and Matt. I just hope this isn't another team who seems to just give up at the end.